I think you should consider releasing quicker updates for Win-32 at least as that is where most users are IMHO. Thanks for your suggestions but to create Gimphoto for Windows based on GIMP 2.6, that's not that simple because i need to create Win32 build environment that different than GIMP 2.4 that currently i've done for Gimphoto 1.4.3 and that will need more time. Nice... thats Im waiting for so long... GimPhoto for Mac :) It would be nice when its working with Snow Leopard 64 Bit. sorry for 64 bit system because i don't have 64 bit system so i can only create for 32 bit system, i hope 32 bit package still usable under 64 bit system. would that not lead to faster releases as underlying versions are increased? 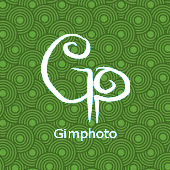 since Gimphoto 1.4.3, i already using GIMP 2.4.3 source to create Gimphoto. Sorry for delayed Gimphoto for Mac because i still busy with life and work.